Why would a copy of the now infamous “smoking gun” Benghazi email have been sent to an agent of the Muslim Brotherhood? Well because that agent works for the Obama Administration of course. 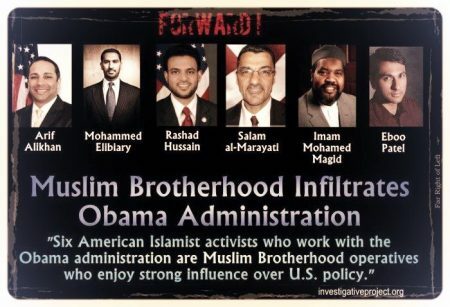 The Muslim Brotherhood infiltration of the Obama Administration has been widely documented. Now, it appears another member slipped through without detection. We have just received our latest clue that the Benghazi cover up goes way deeper than many seem to suggest. Very interesting. 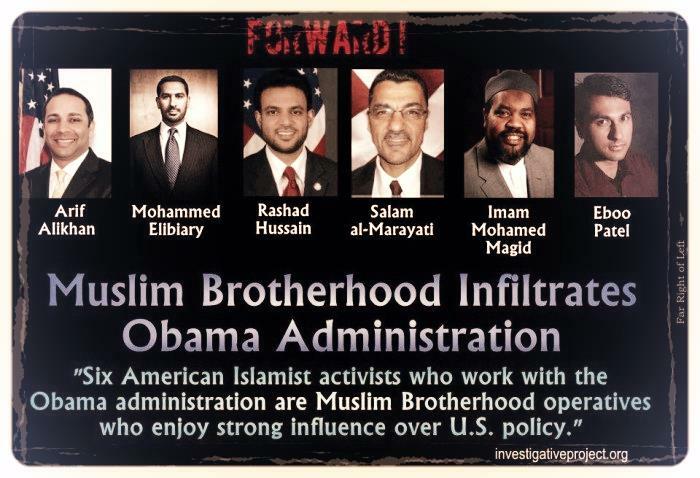 Could Alhassani be another liaison between the White House and the Muslim Brotherhood? There have been numerous documents and reports in the foreign press that would suggest that the Muslim Brotherhood played a huge role in the Benghazi attack. 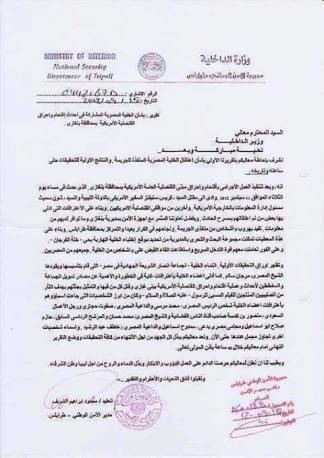 For instance, there is a leaked Libyan intelligence document that never quite made it to the main stream media. This document places responsibility squarely at the feet of the Brotherhood. Farahat also went so far as to surmise that the dialect of Arabic being spoken was not indigenous to Libya. Her claim is that the men were speaking in an Egyptian dialect. At the time I was unaware because I had only started blogging in late 2012 but Pamela Geller had already pounced on this story long before Farahat. So it seems that at least two translations have implicated Morsi in this matter. There has been a lot of focus lately on the arms dealings that were going on at the CIA annex in Benghazi. Though that is certainly part of the story, I think it is very narrow minded to think that it stops there. There has been too much evidence in the foreign media that has never made it to the living rooms of America. This story is far bigger than most Americans know. It is not simply about dishonesty and incompetence. There is a very good chance that Ambassador Stevens was offered as a sacrificial lamb and that your government was complicit in these actions. Let me spell it out… There is a distinct possibility that Barack Obama and Hillary Clinton were involved in the planning of the 9-11-12 Benghazi Attack. 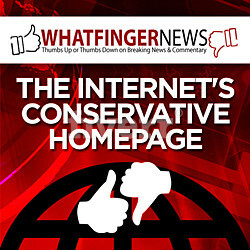 If you want to read more about the Muslim Brotherhood connection in Benghazi you can go here. 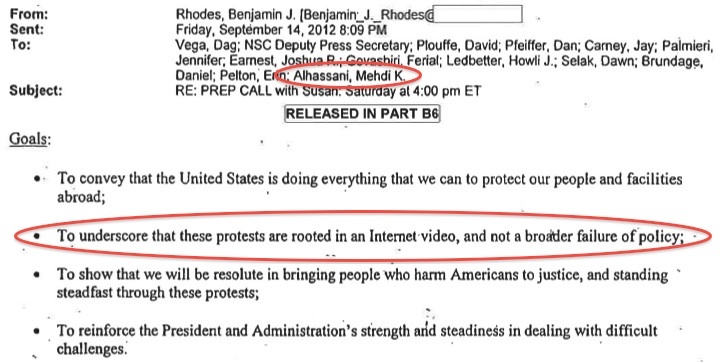 Is there a specific reason that Mehdi Alhassani was in the loop on that email? 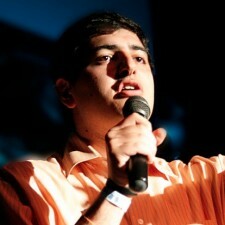 With his obvious ties to the Muslim Brotherhood the possibilities are endless. Regardless of guilt or innocence, one can not deny the fact that Barack Obama has been making a conscious effort to surround himself with Muslim Brotherhood members in the White House and this is no different.